Entrepreneur and marketing strategist Holly Hagerman wanted to make an impact in the world. 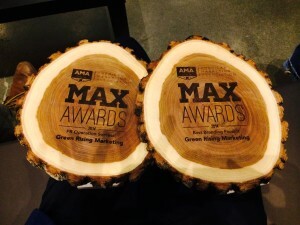 She founded Green Rising Marketing to do just that, making the green movement more successful day by day and company by company. 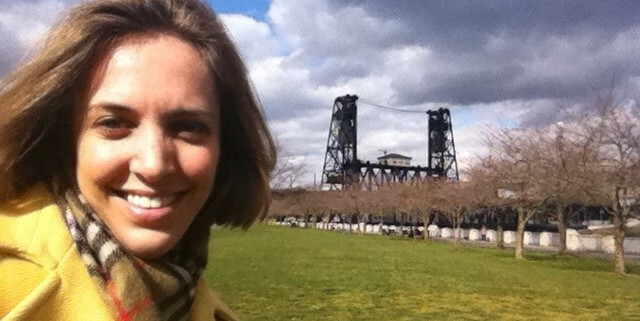 Hagerman believes you can make an impact in whatever you choose to do, and she certainly has with notable companies such as Friends of Trees, Idealist.com, Cairn Pacific, and more. We recently sat down with her to learn the secrets of success for an entrepreneur. “Our fundamental reason for existence is to fuel the success of the environmental movement,” she says, “that’s why we were founded.” To do that, Hagerman insists you must start conversations that mean something. Eventually the ultimate goal is to turn socially conscious into socially subconscious – to make the responsible way second nature. 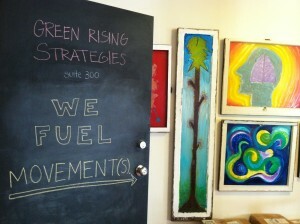 For Green Rising, they boiled it down to discovering their core values. The result, she says, were principles for which we should be willing to hire and fire. Hagerman and her team wrote down the core values about two years ago. It was so impactful that now she does it with most of her clients. Start conversations that mean something. Dig deep, celebrate the details, think in systems. Go with your gut, be intuitive. Revel in the hot seat. “You have to be able to think on your feet, set expectations that are accurate, and give answers in the moment. Seek results. Be a budget guardian. “What I realized after I spent a year trying to be early was that I was filling my life with too many things, making arriving on time a challenge” she says. She recently spent time among Ethiopian tribes, and it was eye-opening. Community is a big part of their health. Depression, they say, is a ‘city sickness.’ When you ask them what they like to do they always say, spend time with friends. With such shared work, you see them sitting around chatting more. And studies show that tribal people spend only 3-5 hrs a day working (The original affluent society – https://en.wikipedia.org/wiki/Original_affluent_society ) “So, a truth that I try to live by is: doing less gives you so much more. Meditating, doing nothing, gives you windows for creativity and problem solving making you far more productive than working ten or twelve hours a day.” As the old adage goes… “Don’t just do something, sit there!” Hagerman takes a full two hours to welcome the day, get ready and eat before work each day. She puts her phone on airplane mode at night, and only turns it back on after her morning meditation. This makes room for her second resolution: Make space, don’t fill it or try to capture it. As an entrepreneur Hagerman lives her work, and she does so with intent, balance, and thoughtfulness. 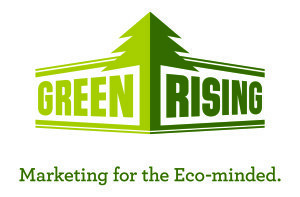 Her vision comes true with Green Rising, and it’s amazing to see marketing come into fruition with those values as a driving force. Everyday Green Rising fuels the environmental movement by starting conversations that mean something. What happens next is what we can’t wait to find out.